About a month ago, if you were living or staying in the Laureles/Estadio comuna, you probably heard the noise. Atlético Nacional, maybe the country’s most popular club fútbol team, returned from Bogotá, Liga Postobón title in hand, ready to celebrate with the hometown fans. The party raged until 5 in the morning. This is the kind of rumba scene synonymous with Parque Lleras, but lately Laureles/Estadio has been making a case for the best place to live in Medellín. I ranked it the No. 1 in Medellín in a story earlier this year, and while I love Belén, I’ve come to love Envigado, and I’m starting to love La America, at this point I’ll still leave Laureles/Estadio in the top spot. The pretty meandering streets have almost anything you could want, from entertainment to food to trendy places to live. I’ll tell you more about all that here. If you go to the museum at Pueblito Paisa in Belén, you’ll see some maps and blueprints. They’re the plans for Laureles. You can see the area more than 60 years ago, when German urban architect Karl Brunner teamed with famous paisa artist Pedro Nel Gomez to create a unique area of Medellín. A lot of the city, if you look on a map, is a grid. Calles (streets) go east-west, Carreras (avenues) go north-south. Laureles is nothing like this. Just look at the area bordered to the west by Carrera 80, to the east by Autopista highway, to the north by the San Juan (Calle 44), and to the south by Calle 33. There are circulars and tranversals, snaking through the area to form a labyrinth for first-time visitors. I remember getting lost here all the time when I first moved to the area. Gomez designed the neighborhood this way because he used to study art in Italy and he wanted to replicate the layout of the some of residential areas he saw while he was there. Get outside the box, where you find the Laureles, Bolivariana, San Joaquin and Conquistadores neighborhoods, and the streets return to more of a normal grid. One of my favorite things to do is go to a Nacional fútbol game. The comuna is the home of the city’s professional fútbol stadium, Atanasio Girardot, where both Atlético Nacional and Independiente Medellin play matches. The stadium is 60 years old and its name comes from the man who played an important role in helping liberator Simón Bolívar free Colombia from Spanish rule. But maybe the best part about the stadium is the area outside it, the recreational quarters open to the public such as basketball courts, swimming pools, a skate park, even rooms for dance and fencing. They even offer free entrance for certain activities on specific days. Right next to the stadium is Estación Estadio, one of two stops on the Metro line in the comuna. 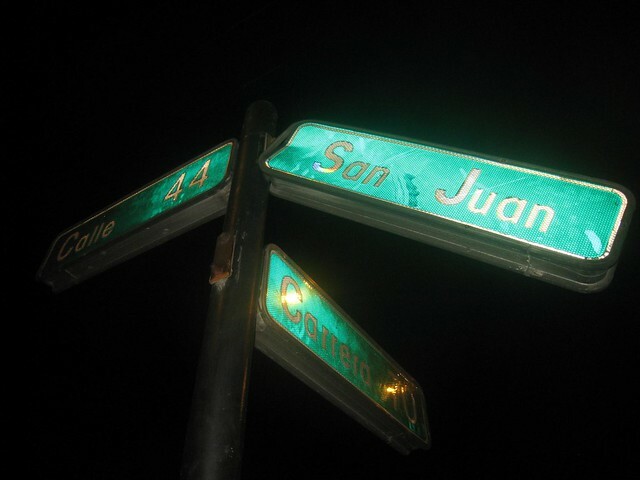 The other is next to the Suramericana neighborhood. If you’re looking to relax, a nice place is Primer Parque Laureles, where the giant trees shade you from the tropical rain or vibrant sun. The Laureles/Estadio area is also popular with foreigners taking Spanish classes, due to its proximity to Universidad Pontificia Bolivariana (UPB). My sister enjoyed this a lot when we went to Il Massimo. After Poblado, Laureles probably has your most diverse eating options. You can find Italian at Il Massimo or Pomo d’ Oro, Mexican at Milagros or Orale, and sushi and Sushi House, Sushi Light and Sushi Market. There are also numerous places for comida típica, such as Mondongos, to give you a taste of Colombia. If you just want a snack, there are several places for that too. Son Havana in the Laureles/Estadio area might be the best salsa club in the city. La 70 is already popular among the city’s many nightlife districts. This section of Carrera 70, between Estación Estadio and Universidad Pontificia Bolivariana, is lined with bars and restaurants. The most famous is probably El Tibiri, the basement salsa club that almost every local knows. New places such as Oye Bonita and La Tienda de 70 draw quite a crowd too. But the best club is probably Son Havana, at Calle 44A and Carrera 73. It’s a salsa place with great energy. For a more laid-back night, with maybe just a few beers or some live music, head to the north side of Calle 33 where bars such as Underground and Wamba provide these alternatives. The best and biggest is Unicentro, where you can find almost anything you want, including a movie theater. Mall Laureles is another option if you’re near Carrera 80, while there’s Centro Comercial Guadalajara at Calle 50 north of the stadium, or the Multicine Carrefour shopping center next to Estación Suramericana. You should be able to find almost anything you need in one of those places. Circular 4, with all its trees forming a canopy over the road, is my favorite street in Laureles. The twists and turns make it easy for crooks to escape, especially on motorcycles. That said, it’s very safe most of the time. It’s like anywhere else. Use common sense, blah, blah, blah, I’ve said it so many times on this blog I don’t think it bears repeating. One funny story: I remember when I used to walk through Primer Parque Laureles, and there would be kids smoking weed and looking at me hard like I was trespassing, but even that was more a comedic nuisance than a threat — at least it was for me, because I never planned to report those kids so I always got a laugh out of their stares. Someone apparently did, though, because police now monitor the park, to make sure no one is intimidated. One note: If you’re going home from a night out at Son Havana, take a taxi. That area is especially lonely, making for easy crime. If you’re planning to stay long-term, and to furnish your own apartment, you’ll save money. You’ll do the same if you find someone renting out a room. But for the people staying short term, people who want their own furnished place that includes your utilities and Internet, you’re going to pay for it. It’s not unusual for a one-bedroom apartment like that to cost 1.4 million pesos ($740) per month. Before you shout, “Gringo prices!” let’s review something. You’re living in one of the best parts of the city, where you have every amenity you could want, arguably even more than in Poblado. And the apartment owner, who furnished the place, turned on the electricity, gas and water, and threw in the cable, phone and Internet, didn’t waive a magic wand to make it happen. All of that cost money and is considered a service provided. In fact, good luck trying to get Claro or Une to hook up your internet if you don’t have a cédula (a Colombian ID card). Laureles/Estadio is nice. It’s full of things to do. And it’s quite safe. No wonder it’s growing in popularity. Great info, thanks. Is there a way you guys can write an article about La Estrella please? It was recommended to me by a paisa and thru youtube I can see it looks nice, very green landscapes and near Medellín. It even has a tube st. Thanks! Sorry, I can see that you have written about it. Thanks. Sorry this statement is wrong from this blog post — “good luck trying to get EPM to turn your lights on if you don’t have a cédula (an ID)”. You actually don’t need an ID for EPM services for electric, water and gas in a rented apartment in Medellín. These services are billed to an address (the apartment owner) and the rental contract will require the tenant to pay the bill. 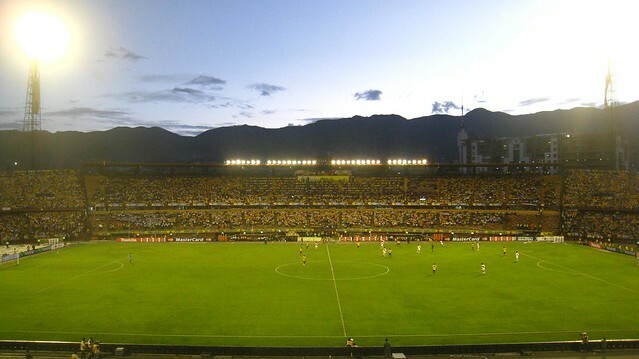 I know this from experience as I have been renting unfurnished apartments in Medellín now for more than three years – in both Estadio and Belén. The EPM bill is not in my name and I didn’t need a cédula to set it up — electric, water and gas was already turned on in apartments I rented and I simply started to pay the bill each month that was sent to the apartment address. However, you will need a Colombian cédula to set up Internet/phone services with Claro or UNE. And while I like Laureles/Estadio, I sincerely doubt it will ever be like El Poblado. I lived in Estadio for a year and see it as more of a working class neighborhood like Belén. I think it is unlikely to ever be like El Poblado because Laureles/Estadio has no estrato 6 areas (which are only found in El Poblado). And I believe Unicentro may be located in Belén as I previously rented an apartment in Fatima in Belén a few blocks from Unicentro. Great post! I live in Laureles (neighbourhood) and to me it the best place in Medellin (together with some parts of Belen). What I especially like is that it is plane which makes it nice to walk around (during the day). Lots of things to do here and lots of nice place are opening around Avenida Jardin. My wife and I plan to move to Laureles summer 2014. She is from Cartagena. We will rent for six months, then decide if Medellin is where we want to live. We chose Laureles because, as I understand it, El Poblado is hilly and Laureles is flat. We want to live somewhere that is walkable. Can someone suggest an area in Laureles? How about near Los Molinos mall? Yes, Poblado runs from the valley floor up the mountains, with apartments getting more expensive the higher up you go (and around Parque Lleras). Laureles is on the valley floor, so yes, it’s flat. If you haven’t already, look up “Laureles, Medellin – Antioquia, Colombia” in Google Maps to see an outline of the district. The streets between the 1st and 2nd Parques de Laureles are filled with restaurants and cafes, many of them having started out first in Poblado and now opened up shop in Laureles. It’s also an area with lots of big trees lining the streets. Downside is it’s a 15-20 minute walk to the nearest metro station, though you can take a bus for under $1. Living by Estadio (soccer stadium) is good or bad, depending on how much you like soccer, and the associated noise and commotion that goes along with the games. Upside is you’re closer to the metro station, and La 70 (a street with lots of little bars and clubs). Be careul anyone visiting Colombia en general, I live in the States but visit family every year. This is not as safe as you may think, Poblado Medellin is full of thieves watching the right opportunity to rob you. The ‘kids’ smoking weed in the park would be the first to help should anything happen, having them there is a good thing. They’ve gone from our park now because they all got robbed and now no one uses the park at night – shame. The problem with renting independently (rather than ‘gringo prices’) isn’t the services it’s that almost everyone needs at least 1 “fijador con propiedad raiz” (Guarantor with their own property). Unless you’ve someone willing to help you’re going to have problems. There are a few ways around it using a 3rd party but the deposit they hold is ridiculous. On top of that the concept of furnished apartments is pretty much unheard of. Contrary to what you may see on ‘la 70’ on match day, living in Estadio/San Ignacio is a bit of a nightmare due to the football fans. They come down from the ‘popular’ barrios in groups robbing and generally causing trouble. We’ve seen so many incidents it’s stupid. All of them taking something and half of them armed (blanca). It’d be ok once a month or something but depending on the season it can be various times a week. We’ve lived in the area for 3 years and although the Police presence has increased recently we’re now looking for alternatives. All the residents in the area are sick of them, they are a tarnish on an otherwise pleasant barrio. Everywhere has it’s up’s and downs and in general it is a nice place to live. I have a girlfriend that lives and Medellin and she tells me that Laureles is not safe for foreigners. She says that Laureles is full of thieves. Can you comment on this? I am wanting to move to Medellin and am open minded about the area but she will not even consider Laureles as a safe area for me to live. This is the first I’ve heard such strong words against Laureles. I’ve heard just as many robbery stories over the years from Poblado as Laureles, Estadio and Belen. The fact is thieves go anywhere they want in the city, but an issue unique to that area is the soccer stadium. It attracts kids and thieves who come down and cause trouble during or after the big matches. That’s part of why I wouldn’t live near the stadium itself. But the area around Park 1 and 2 of Laureles is safe as far as I know. Where does she suggest, Poblado? Correct, she suggests Poblado. Do you have personal experience of living in Laureles? Or frequently visiting at night? Do you know expats or other foreigners living in Laureles? Just trying to gather as much information as possible. Thanks. p.s. I have visited Medellin several times and traveled around the city with my girlfriend but have always stayed in Poblado, which is a wonderful area. I will be back in Medellin the middle of May. I’ve never lived in Laureles myself, but Ryan, who wrote the article has as well as many friends of mine do prefer it over Poblado. I have spent a lot of time there at night. We’ve had quite a few reader meetups at restaurants in Laureles, and I’ve gone out dancing often on La 70 over the years. My friend Marcello at http://wanderingtrader.com recently bought an apartment there. Feel free to contact him through his blog to get his take. I was talking to another friend who’s lived in Estadio/Laureles, and is looking to buy something now. He’s learned recently that real estate prices are now higher in Laureles than Poblado as more are looking to buy there since the collapse of the Space building in Poblado last year. Not to scare you, but plenty of people get robbed in Poblado too. It’s a risk that comes with living in a city, especially one in Latin America. Safety should certainly be a factor in making your decision, but I don’t think it should be the only one. Thanks for the information. It would be difficult for you to scare me. I presently live in Houston, Texas and there are many places in Houston that are not safe day or night. Even in the best neighborhoods you can be a victim of crime. I feel my fiancee is being overly protective but what can you do? I would like for her to be a little more open minded about areas in Medellin outside of Poblado. Switching topics a little, I have been looking on the internet at apartment prices and notice a vary wide variance in prices. I would like to find a two to three bedroom apartment, 1200 to 1800 square feet. What price range should I expect to pay for something like that? Not looking for exact quotes just want some idea of the price range compared to what I am seeing on the internet. I love playing tennis and don’t want to spend a pile of $ to do it….what does it cost per hour in Laurales?? At first, I am looking to rent an unfurnished apartment in the Poblado or Laureles area, 1200 square feet or more, two to three bedrooms. After I settle in I would like to find something to buy as a permanent residence. I was hoping that I could find a nice apartment to rent in the $750 to $1000 range and purchase in the $80,000 to $120,000 range. Can I find something nice and safe for this amount? I only drove through Laureles and ate lunch there but my impressions are backed up by a Colombian tour guide who lives there. Laureles appeared to be very quiet and private. I did not count one person in the parks we drove by. The place is empty because everyone seems to keep to themselves in their apartments. Does not seem to be much community. Also everything is very spaced out as opposed to everywhere else in Medellin where shops and streets are close and comfy. And as far as safety I was told point blank by my Colombian friend that they do not like Americans in the clubs in Laureles. He said it can be on the verge of dangerous even when keeping to yourself. He said Colombians prefer Americans do all their womanizing and partying in Poblado…. Oh, and also, don’t let the whole “centrally located” thing fool you, the traffic is the worst in the valley here. Sure it is near every other neighborhood but there are clog points to get out of Laureles which are like parking lots a lot of times. I don’t go out as much as I use to, but when I have been to bars and clubs on La 70 in Estadio, I’ve never felt threatened or any ill will. Son Havana, a popular salsa bar, attracts lots of foreigners and is super friendly. I think it’s unfair to suggest all businesses in an entire comuna of the city don’t like foreigners, based on what a single Colombian friend told you. I know for sure that many restaurants and bars appreciate foreigners coming in and spending money. The irony of Colombians saying they prefer foreigners do their womanizing in Poblado is beyond me. Colombian men have a terrible reputation amongst the women for cheating. And it’s a two-way street. There’s no doubt traffic can be terrible in Laureles, Kevin, just like anywhere else in the valley. But I disagree with your other observations. I’ve lost count how many times I’ve gone to a club in Laureles and random Colombians I had never met talked to me, asked me to do a shot with them, asked me to dance with everyone in their group, did just about everything they could to make me feel welcome. Like Dave, I don’t go out as much anymore. But when I walk around during the day, I witness that sense of community you feel the area is lacking. Sure, there are people who stay in their apartments and don’t socialize as much. But I always see people out and about in Laureles, except maybe on Sundays and holidays, when people are out of town, at church, shopping, etc. Great discussions guys. We’re visiting Medellin for the first time in Dec/Jan. We thought we might want to change from a detached house we now have to an El Poblado high rise, but we’re now intrigued with all the info. about Laureles. It seems that there is more chance to have a single house there. Is that true? Thanks…I’m really liking this site. I am just moving to Medellin next week to live in the city after 12 years in Cartagena. My step-kids have rented an apartment in Laureles for the last five years and on numerous visits I have seen continuous improvement to the neighbourhood. It was our free choice of where to buy property and Laureles won out over Poblado chiefly because of pedestrian mobility- Restaurants, bars and supermarkets are all accessible on foot. Also the place feels pretty secure to me. Me again. I’ve lived in different U.S. and British cities…large and small. I’m married now, but did most of that traveling as a single, ex-model, Black woman. My feeling has always been that there’s a lot to be said for your physical presence. When I’m out late, I look like I know where I’m going and am on a mission. I don’t stop to check my makeup or hang out phoning friends and I’m ALWAYS paying attention to my surroundings. And, despite loving my good wine, I’m NEVER out alone drunk or loaded. That goes for any place I’ve been to on the planet. I just think that’s now common sense whether you’re surrounded by houses, shops, high-rises or bushes. And I’ve never been mugged. Hope this doesn’t sound too negative. By for now! In my experience I haven’t seen any rats or spiders or mosquitoes in over 4 years living in Medellín. I have seen ants a few places outside and small cockroaches in a few apartments and a few times flies and bees. I can sleep with the windows open without screens. On a scale of 1-10 creepy creatures ratio I would put Medellín on the low end, perhaps a 3. Keep in mind Medellín is nearly a mile high city, like Denver, which is why Medellín has a pretty nice climate all year round. The city is known as the “city of eternal spring”, even though it is located about 430 miles from the equator. Thank you for this helpful information, Jeff! It is currently 70 °F in Medellín and 63 °F currently in Bogotá. It’s supposed to drop to 48 °F tonight in Bogotá and 59 °F tonight in Medellín. I much prefer the weather in Medellín and for me it is near perfect temperature wise. I would rather see low 80’s in the day and nighttime in the low 60s that is common in Medellín than the mid-60s during the day and mid-40s at night that are common in Bogotá. I would need a heater at night in Bogotá. Unfortunately I have to go to Bogotá next week on business for a week and dread it as it is colder with much worse traffic. Also Bogotá is located much higher than Medellín, it’s 8,660 feet above sea level (1.64 miles high), which is the height that altitude sickness can start to occur. When I go to Bogotá I normally get bad headaches for the first day or two and feel weak and tired until I adjust to the altitude. True there are more jobs in Bogotá with better pay. But I have a job in the U.S. with location freedom so I can live where I want. Jeff’s right about the average annual temperature. But the last two years in July and August were really hot, and both years in September were kind of muggy with all the rain. Even my friends, expats and locals, took note of this and complained often. Not sure what this July was like and I won’t find out about August either, but I consider that a blessing. And I have no idea how Jeff has never seen any rats, spiders or mosquitoes, because I have seen my fair share. That said, Medellín is much better than a place like Asunción, but I see much less of those critters here in Bogotá. The downside of Bogotá is the traffic and chaos, but I love big cities. Those things don’t bother me. And rush hour in Medellín is madness too. As for the altitude, if you live in Bogotá, it won’t be a problem. But there is an adjustment. I went through it a couple of weeks ago, when I got back from Cuba. And like Jeff, I have a location-independent job so I can live anywhere I want as well. But it sounds to me Candice that you’re looking for work here and considering the minimum wage in your country is about $17 an hour, you’d be better off looking for a job in Bogotá. I have likely avoided seeing rats, spiders or mosquitoes by living in newer high-rise apartments in Medellín that aren’t located near standing water that attracts mosquitoes. My average temperature in a couple places I have lived has been a bit lower than the average in Medellín due to being located higher up hills (in Loma de los Bernal in Belén and in Sabaneta) where I also have felt nice breezes that help keep it somewhat cooler during the day. Hi Candice, my name is Greg. My wife and I lived in Medellin for eight months. Ryan is right; there aren’t a lot of bugs in Medellin, but there are a lot of moths at night. We rented a seventh-floor apartment. The windows in the apartment did not have screens, so if we were in a room at night with a light on, we closed the window to keep the moths out. On the subject of climate, to me, the climate felt more mountain-like than tropical. While we were in Medellin, we did not experience any temperature above 30 or below 15 degrees C. Most of the time the humidity was low. Skies are usually partly to mostly cloudy. There are two rainy seasons, with occasional thunderstorms. Been staying in Laureles for about a week now and LOVE it! There are so many fantastic restaurants here, and I love running around the Universidad, its exactly one mile! My family and I are moving to Medellin next year, and along with all of the other concerns/questions you’ve all touched on, I also have questions about elementary/middle schooling. I have found a few outrageously priced American/British schools, but was looking for more moderately priced English/Spanish schools. My daughters have lived in small town China for the past 4 years and I REALLY don’t want to force them into an immersion situation again. Please help if you can,ay info or contacts would be appreciated. Thanks! First, I realize many posts are quite old, but, since many readers might be viewing them still, I wanted to give some recent feedback on the issue of safety which was brought up more often than it need have been in my opinion. During soccer (football) games, I avoid the area and I live here. I go out in the day and stay off the streets. Alot of hoods from out of the area come and with all the drinking, it’s the only time I had to get physical with someone and I was just walking along minding my business. That was 3 years ago. Calle 70, where all the clubs and restaurants are consolidated runs right from the Metro to a traffic circle which has UniCentro on the other side. This street is heavily patrolled by police and the shop owners frown on criminals as it’s bad for business. Never seen anything bad happen here. TONs of beggars and people trying to sell you stuff. Say Gracias and they generally will leave. My rule is 3 times, then I tell them to move along. Rarely a problem, but it is tiring to have the constant barrage. If you live here, after a couple weeks/one month, they leave you alone (unless you are stupid). Treat them with courtesy though. I have had some of the vendors, shoe shine guys and the like very much look out for me. Helping me find rooms, giving me the low down on prices etc. A couple weeks ago I had a drunk bothering me and I was getting pretty pissed off and 3 of them moved into position to help if there was a problem. More likely, they would have just ushered off the drunk. Fights here will get you arrested, regardless. And everyone has a cousin or friends you will have to deal with. Unbelieveable kindness and friendliness. My Spanish is not horrible, I don’t ogle every girl or act like an idiot, dress conservatively and am polite with all the locals. I can’t tell you how many times I have been having a beer alone to have groups of people (even beautiful girls adn I am an ugly old dude) to their table. Old fashioned manners go a very long way here. Many customer service workers here are not used to people asking them how they are doing. Please, thank you and the like. It goes a long way. So I say the safety concerns are over rated from the posts on here. Having said that, I have been abroad for almost 17yrs now. One of the only reasons I don’t go to Bogota where I like the climate better is the friendliness and decency of the people here. Finally, closing time is 0400 here. If you are out alone drinking that late (you are me sometimes as it’s hard to sleep if there’s a soccer game) you are either me, or unwise. Common sense people.